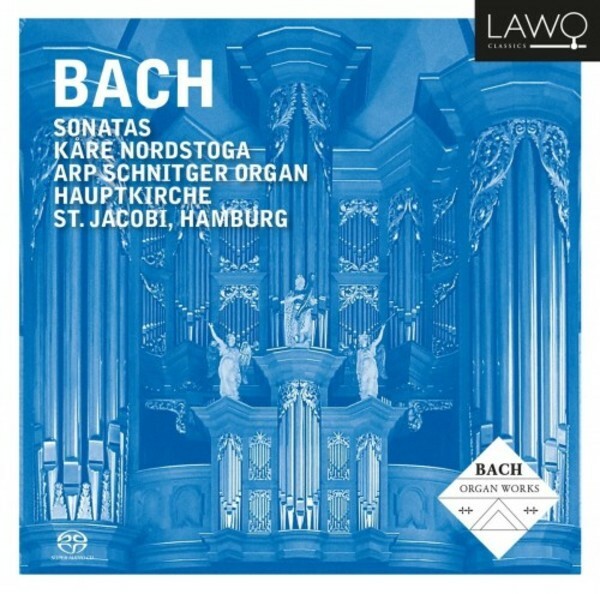 'Bach - Sonatas' is the fourth recording in Kåre Nordstoga's series of Bach's complete organ works. The main works on this double-CD are the six 'Trio Sonatas'. The Sonatas are a book of study not only for performers, but for composers as well. Bach’s private lessons for gifted students required a repertoire for the study of the noble art of polyphony. At the same time, this is concert music and art in its full complexity, where the art of polyphony is cultivated alongside the most moving melody.